The electronics subsystem is a distributed network of intelligent electronic components that are responsible for command and control of the whole instrument, for scientific data acquisition, for housekeeping data generation and for power management. The intelligent subunits communicate via an internal LAN and additional direct links for time critical communication. External to the instrument electronics, either in the aircraft cabin (HALO) or in the instrument bay (M55 Geophysica), a central mission processing system provides human interfacing, data storage and automatic control. Instrument electronics and control computer are connected with LAN, an additional high-speed data link and some reset lines. 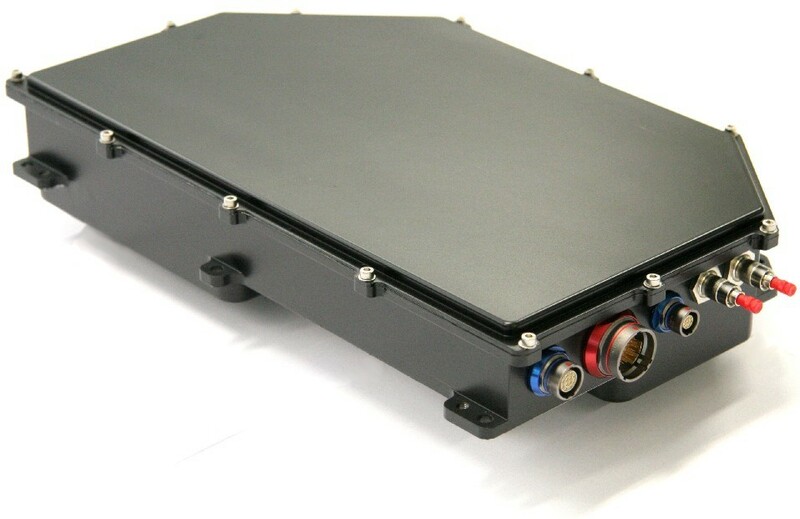 The heart of the instrument electronics is the IDAC (Integrated Data Acquisition and Control unit), which is responsible for the complete interferometer control and handling of the 1 GBit/s data-stream from the IR-detector. It has to generate time-stamps to synchronize the acquired IR data with position information from the interferometer. The data is sent via an optical camera link interface directly to the central processing system. The central processing system (called CHEFFE) is based on Open VPX REDI (Ruggedized Enhanced Design Implementation) standard to fulfill the requirements for airborne instruments. The system includes a powerful single-board computer (Intel i7), a FPGA based data-acquisition board handling the camera-link protocol and a RAID storage system. 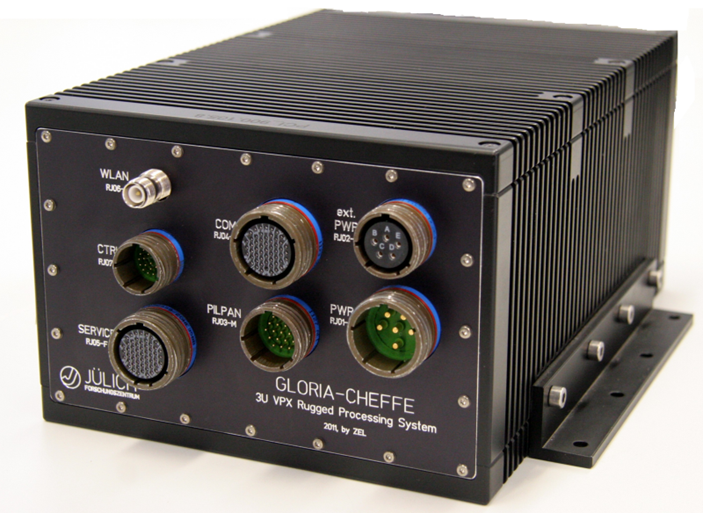 The CHEFFE also supports the telemetry communication via SatCom to the controlling ground stations.